Israeli occupation authorities deported to France, late on Monday, former Tunisian president Moncef al-Marzouqi, who took part in Freedom Flotilla III. After intercepting and towing the Gaza bound ship, the Israeli occupation detained, investigated, released and deported participants, including Israeli Arab MK Basel Ghattas and former Tunisian President Moncef al-Marzouqi. Days of Palestine reports that sixteen foreign nationals were on board along with two Israelis, Arab lawmaker Basel Ghattas and a television reporter. Gattas and the TV reporter have been released, though Ghattas could face a parliamentary hearing on whether he should face sanctions. Israeli authorities did not investigate Al-Marzouqi, though it deported him along with the MEP Ana Miranda to France, not to their homes. 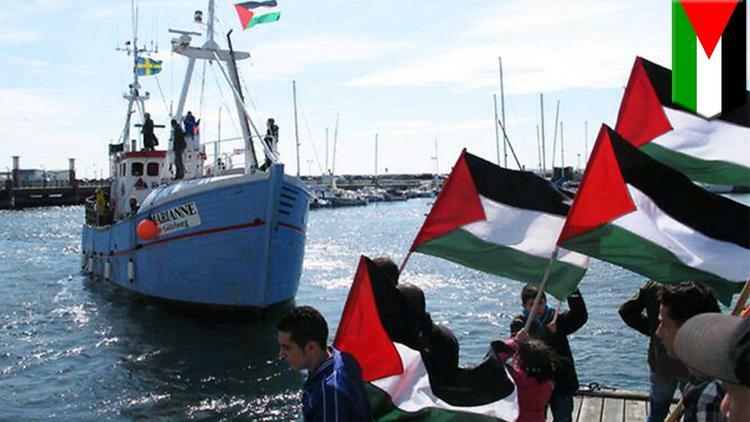 According to Ghattas, the Israeli commandoes intercepted the ship Marianne at 2am local time and the staff of the ship turned the engines off, refusing to deal with the Israeli commandos. At 7am, Israelis could run the engines and towed the ship to Ashdod. “Occupation confiscated all personal belongings of the activists on board, including mobiles and other equipment,” Ghattas said. “It did not allow any telephone call by the activists,” he added. As soon as he arrived in Paris, Al-Marzouqi announced taking part in Freedom Flotilla IV setting off from Morocco.